We caught up with the Author of Contact High at the Reebok space during this year's Sole DXB in Dubai. This year was a big leap for Dubai’s leading fashion and lifestyle fair Sole DXB. Along with seeing hip hop royalty like Nas, Giggs, Dev Hynes and Yasiin Bey FKA Mos Def take part in the event, it also expanded culturally to include exhibitions, movie screenings and more. This year Reebok’s presence at the fair was driven by a back to the '90s theme coinciding with the release of their new Aztrek runner and the return of their vector logo. Part of the program at the Reebok space included a mini-exhibition and a book signing revolving around the book Contact High: A Visual History of Hip Hop by American journalist and author Vikki Tobak. 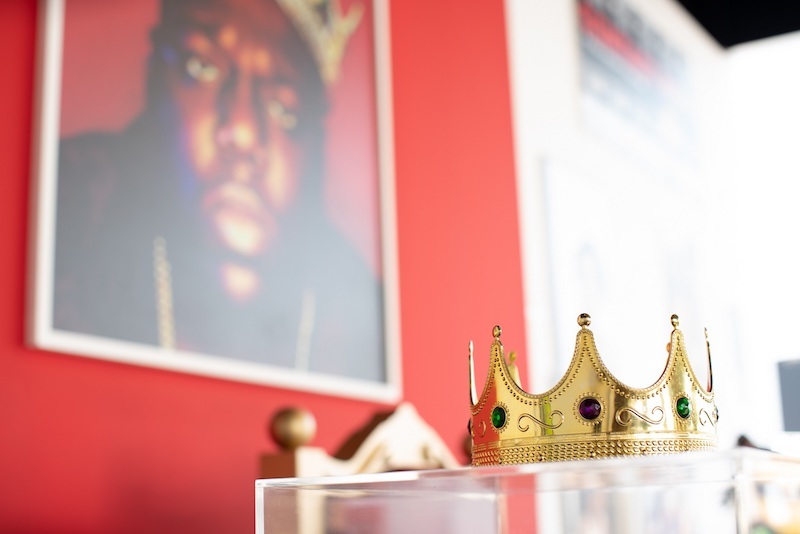 An extension of this was the display of the crown from Biggie’s iconic photoshoot along with the photographer behind it, Barron Claiborne, who was on ground taking pictures of people wearing it. An established journalist, producer and curator, Tobak has written for i-D Magazine, Complex, The FADER, Mass Appeal and others. She’s also the founding curator of FotoDC’s film program with a curation stint at Silicon Valley’s Palo Alto Public Art Commission. Adding to that, she also lectured on music photography at American University, VOLTA New York, Photoville, and the Museum of Contemporary Art Detroit. Vikki’s most recent work - Contact High - gives insight into the world of hip hop photographers during the past couple decades by exploring their diaries and contact sheets. 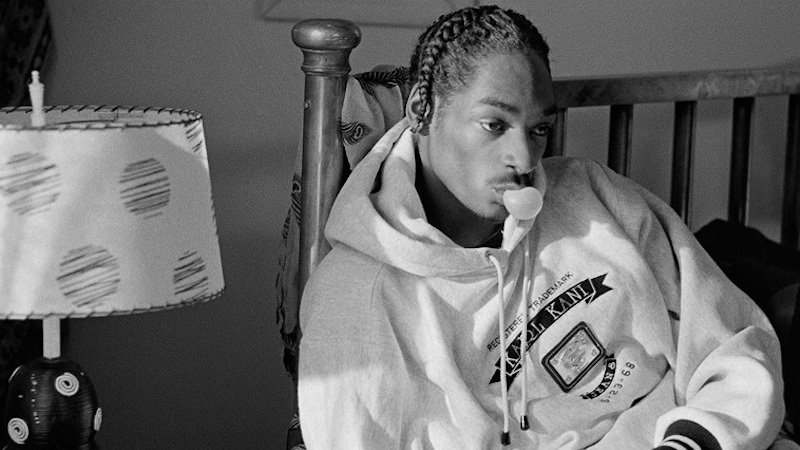 The book shows rare outtakes from over 100 photoshoots, documenting the journey of old-school all the way to the rise of alternative hip hop. It also features essays written by the likes of Bill Adler, Rhea L. Combs, Fab 5 Freddy, Michael Gonzalez, Young Guru, DJ premier, and RZA. We had a chat with Vikki at the Reebok Space during Sole DXB about the lasting heritage of retro hip hop photos, her book Contact High, and how much music photography has changed over the past several years. We’re at the Reebok space for a book signing of Contact High: A Visual History of Hip-Hop at Sole DXB 2018. Sole DXB brings together fashion, music, art as well as sports. What do you think about this concept? I came up in the early '90s, so for me to be over here in Dubai seeing this is incredible. It’s such a force now; it’s the defining culture in fashion and everything and for me personally it’s a little bittersweet because I remember when it was such a small scene. I also remember a time when fashion purposely did not want hip-hop artists wearing their stuff. So it’s amazing, cool, and bittersweet all at the same time. What as your impression of somewhere like Dubai at that time (the '90s)? So I was actually born in Kazakstan and I immigrated to Detroit and then to New York when I was 18 so for me I wasn’t even thinking that globally, I was just thinking about like New York, the epicenter. Hip hop hasn’t really gone super global yet. I remember I was working with Gangstarr in the early '90s and I toured France with them and we were amazed at how much people in France embraced the music. To be honest Dubai was not on my radar back then. So, the crown. Obviously this is a very iconic photo in the hip hop world. What do you think of the concept of having it here? 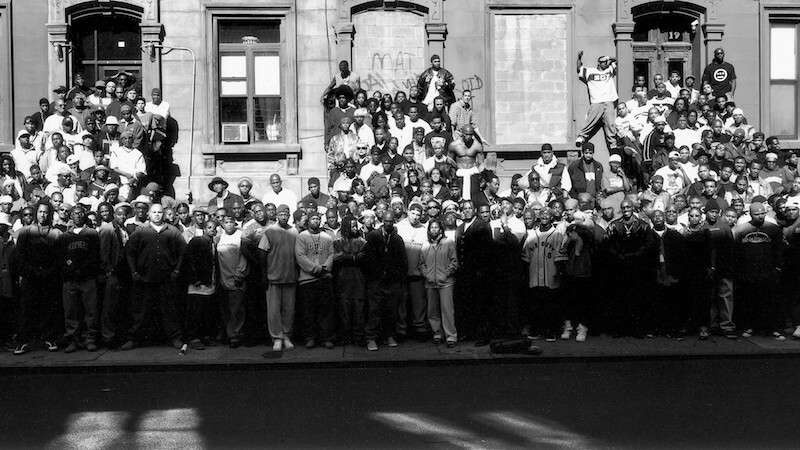 I think people will see that it’s probably the most well known photo in all of hip hop. In the book we actually have the outtakes where he’s smiling in one of them, and anyone I talk to who actually knew Biggie was like “that’s the real Biggie”. You know here we’re treating it with great care and the one that Biggie wore on his head is being kept safe - also because his head was so big, it wouldn’t fit on anyone. So, you know it’s something I think should be treated with great respect that we brought here as part of the book and as part of keeping an archive. What was the idea behind the project and what was the biggest challenge for the book? The goal of the book was to celebrate the photographers who documented the culture from the start. We’ve heard from the artists, we’ve heard so many different angles of the hip-hop story but no one has really celebrated the people who documented it and the visuals that defined it at different times. So that was the idea for the book. I had actually met a lot of the photographers in the book in the early '90s, when I reached out to them and asked to see their archives, we’d already gained a lot of their trust. The challenges were building trust, having people share their archives. In the book you have a lot of the unedited contact sheets. How did you get the trust of other artists to share that with you? Because these were taken in pre-digital days, they weren’t meant for public consumption. So it was really hard. Photographers are also curious about each other’s contact sheets because they’re sort of like their diary. There are mistakes there, all the things they got wrong, for the artists and the photographer. I think the photographers were also curious to see each other’s work so I think that made people want to share. 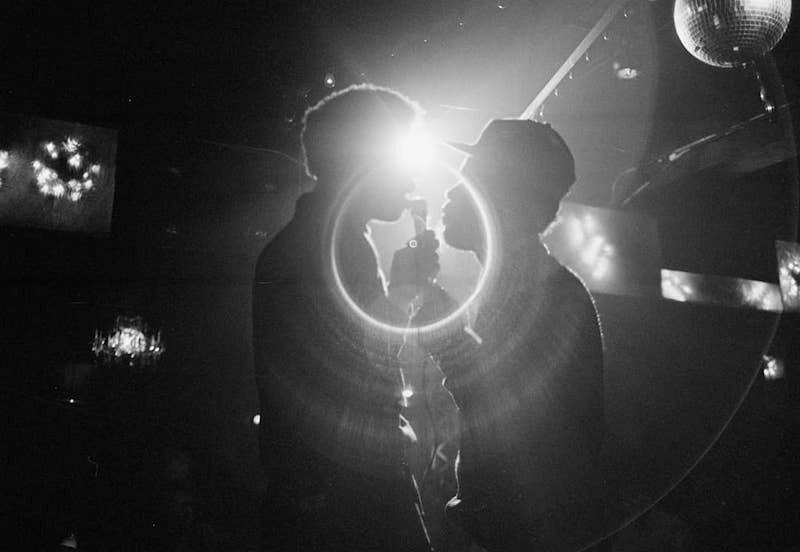 And how would you say hip hop photography has changed over the last two to three decades? I think the way they interact now with artists is way cliché. Artists are very much more protective of their image and they’re much more conscious of their image, especially in the age of Instagram and things like that. The earlier photographer had all this access. They could spend days with an artist for no reason. Now it’s much more planned and packaged. A lot of times the photographers don’t even own their photos in the end, It’s the artists. Just the whole process with Instagram and social media has really changed how people are so aware of their image. Would you say there’s less creative freedom left? Probably, but it’s just different. It’s a different process. Also back then you couldn’t see images immediately. So artists can be more candid, you can get them at sort of off moments. So Contact High is going to be in LA in 2019, what have you got in mind for the exhibition? Are you going to be curating it yourself? I’m curating it and Fab 5 Freddy is serving as culture historian with me. So it’s going to be photos from the book, and will also have objects, like the crown will be in the exhibition. We’ll also do a film festival in support of it, and then we’re up [at the exhibition] for four months and then we’ll travel. So hopefully we’ll even bring it to Dubai. What’s on your list for the tour? It’s at the Annenberg Space for Photography and they just started talking to other institutions. We don’t know yet. You’ve also lectured about music photography in several different places: VOLTA in New York and then the Museum of Contemporary Art Detroit. What makes hip hop photography outstanding? I think just that it documented a culture. It’s the visualization of a music that now defines our mainstream, and without the photos you wouldn’t know what it looked like, you wouldn’t know all the details, you wouldn’t know the rawness of it. Part of the reason I did the contact sheets was that I wanted to show not just the artist but I wanted to show the neighborhoods that they were from, the communities that they were from...I wanted to show their friends. I think the importance is just showing the complexity, the nuance of the music that people think is just pop music. What future projects do you have? What are you plans? I’m writing a follow-up book to this which is going to focus on women in music. We’re also turning the book into a television show. When can we expect this project to hit our TV screens and our bookshelves? TV screens probably this time next year, and the book probably next fall. Is there any inside information you can give us about the TV series or is very hush-hush? It’s still very hush-hush but it’ll be a TV series based on the book, basically taking you inside a photograph, telling the story of hip hop. Follow Sole DXB on Facebook and Instagram.